We just learned about the Lumbar Nerves. The spinal cord continues down below your back and into your Sacral Nerves. 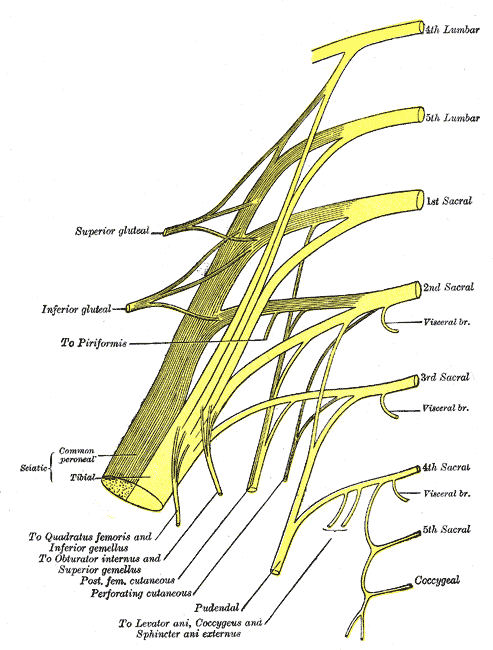 There are 5 sacral nerves, named S1, S2, S3, S4 and S5. These nerves help control your hips, legs and feet, and they also help control the organs in your lower abdomen like your colon and bladder.